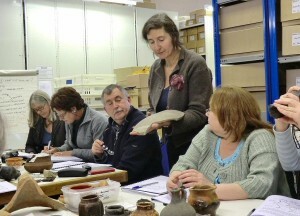 Second part of the famous CBA Wessex pottery study days with pottery and finds expert Lorraine Mepham. The day is an excellent opportunity to handle and learn about the types of pottery found in the Wessex area. The day is ideal for people new to pottery identification, as well as those already engaged in finds work and who want to brush up their skills. Venue: Wessex Archaeology, Old Sarum Park Salisbury SP4 6EB. Coffee and tea provided, but please remember to bring a packed lunch.